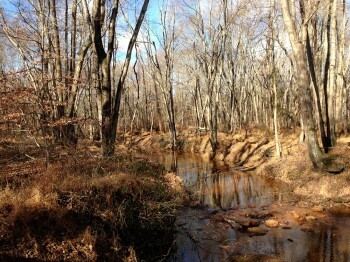 Easy loop through pine and deciduous forest, following along the Manasquan River briefly. The forecast was calling for a windy and super cold day plus we only had time to get a quick hike in. Somehow we always end up at Turkey Swamp when its freezing or the ground is snow covered. Miles: 3.7 - very easy trail surface, basically no elevation change.